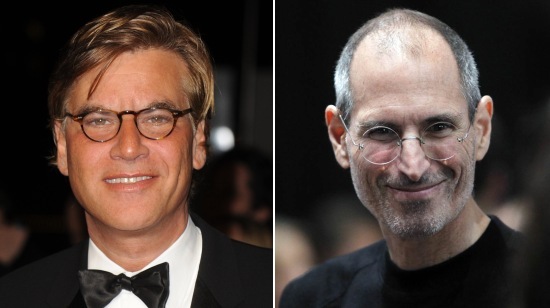 With the numerous rumors about Steve Jobs upcoming but unconfirmed biopic, we’ve all been intrigued when and by whom would the movie be made. Now it has been officially confirmed that it is Academy Award-winning The Social Network/The West Wing writer Aaron Sorkin who is in charge of writing the screenplay for a Steve Jobs biopic based on Walter Isaacson‘s best-selling biography. The notable thing is that Sony is said to have purchased the rights in a $1 million deal made just days after Steve’s passing on in October last year. According to the announcement made today by Amy Pascal, Co-Chairman of Sony Pictures Entertainment, and Doug Belgrad, President of Columbia Pictures, the project is being produced by Mark Gordon, Scott Rudin and Guymon Casady. Considering the track record of Aaron Sorkin, the movie is supposed to actually be great - regardless the fact that it's still unknown whether we'll see Ashton Kutcher starring or not… However, there are no more details available and the questions like how long the writing process will take, when it will be filmed or who will be starring stay unanswered. But now we know at least single but most important thing – the movie will be filmed, and it will be great!